Need For Speed is a series that has faltered in recent years. In 2017 we had the release of Need for Speed Payback, which was marred by loot boxes – which was, naturally, changed following the Battlefront 2 controversy. Before that, the series was rebooted with the always-online Need For Speed. Oh dear. The thing is, Need For Speed has been an excellent series in the past. Fans, understandably, want to go back to a simpler time. A time where you could listen to audio that was cracking your eardrums, as you look at blocky cars racing around poorly defined tracks. What more could you ask for? A more updated version of that of course, as seen in this fan-made trailer. It was a simpler time and, of course, the popularity of Fast & The Furious had just taken off. You all wanted to trip out cars, speeding around cities, racing them and seeing who exactly was the Dom Toretto. Granted, if you made a Need For Speed Underground 3 using the Fast & Furious franchise as a template now, it quite literally would be an extended GTA mission, featuring all of the chaos that comes with the said mission. Maybe stick to the street racing. Will we ever see Need For Speed Underground 3? Probably not, no. EA have made it quite clear that they have rebooted the franchise under Ghost Studios, following their collaboration with and the eventual demise of Criterion Games. Note: Criterion Games are still around but have simply been acting as a backup studio on Star Wars: Battlefront, Battlefront II and Battlefield 5. A large fall for such a big studio. A little history lesson, Criterion replaced EA Black Box, the studio that made Need for Speed a popular franchise – Most Wanted still being the best selling Need For Speed title. Black Box was renamed Quicklime Games to work on the Mobile Need for Speed: World in 2012 and then closed in 2013. There’s little doubt, following the reception of recent titles, fans are wanting a return to the older style Need for Speed titles. Maybe it is nostalgia, maybe not. 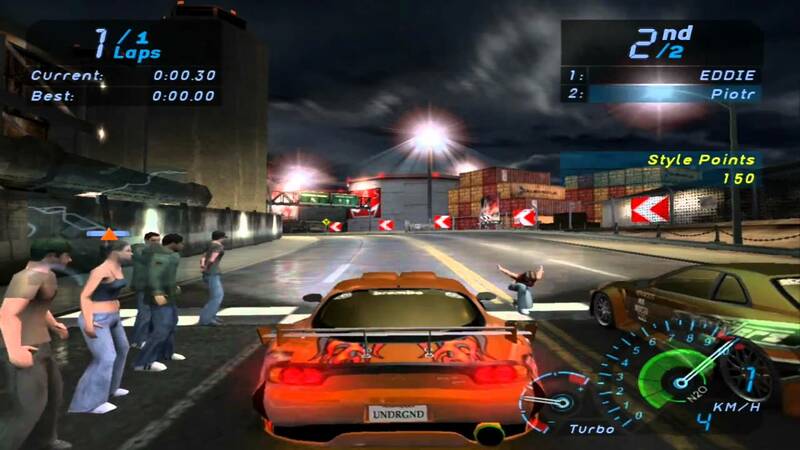 Personally, I think a return to the more arcade, fast racing, heart pounding Need For Speed Underground/Undercover style would be a perfect move for the series. It’s evident that the recent iterations aren’t working as well as they would have liked. Maybe it’s time to make that move.